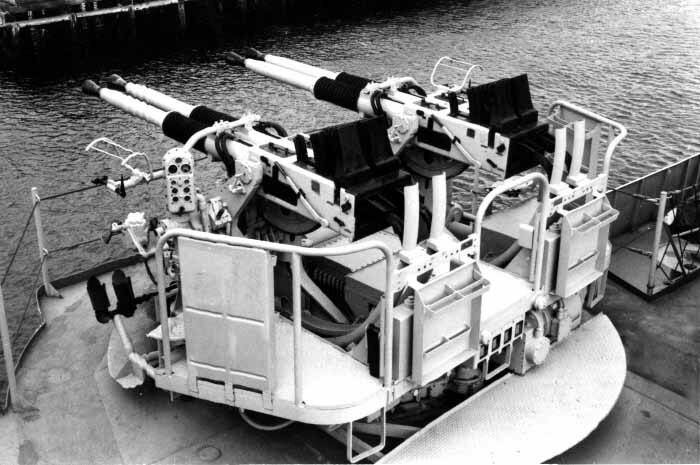 The water-cooled 40mm Bofors was a very effective intermediate range Swedish design anti-aircraft gun that was built under license in the United States. The Bofors originates back to Krupp in Germany who developed it near the end of World War I (the Bofors Company was owned by German interests until 1930). In the US Navy it was arranged in either single, dual, or quad mounts and served on virtually all warships. Once the licenses were signed in June 1941, the United States started a massive production program for these weapons, with a total of about 39,200 being built by the end of the war. Even so, the demand was not fully met until well into 1944. By that time, the pre-war 1.1" gun had been almost totally replaced by these Bofors and by the 20mm Oerlikon guns. Late in World War II, the 40mm guns started to replace the 20mm Oerlikon as the smaller weapon was found to be ineffective against Japanese Kamikazes. The newest additions to L’Arsenal’s growing line of resin and photoetch upgrade parts are dual and quad mount 40mm Bofors in 1/400 and 1/350 scales. The scans included in this review are of the 1/400 scale versions, which are merely smaller versions of the 1/350 scale counterparts. First let’s examine the twin Bofors - this packet comes with enough parts to assemble 6 mounts. The resin parts include the mount bases and the twin guns. The photoetch brass detail fret includes the rear platform railings, gunners’ seats, target sight bars and two types of handwheels – simple and expert. The simple handwheels are indeed simple – just clip from the brass fret and glue into position. The expert handwheels are little more involved – these include the axle on which they are mounted and the handgrip. You must bend the axle and the handgrip into shape and then glue them into their positions. For a little more work you get a very realistic looking mount in miniature. 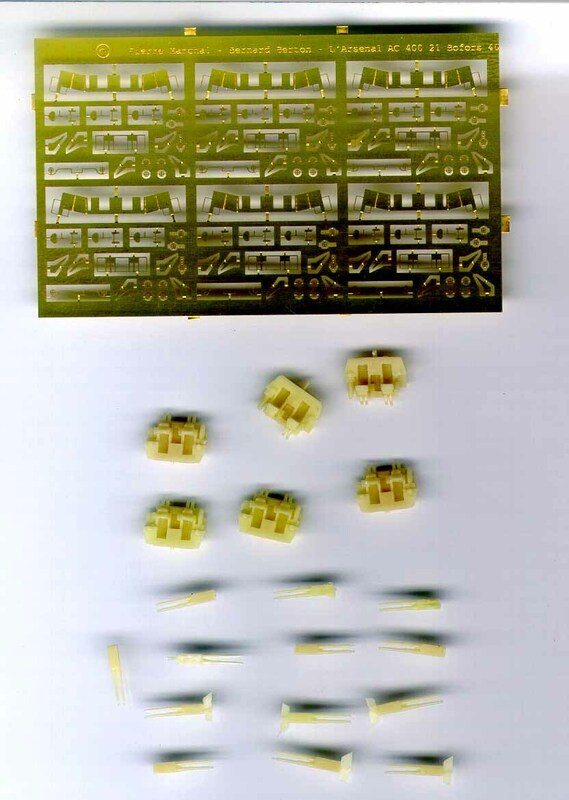 The quad Bofors mount packet is similar to their twin cousins – again the packet comes with parts to assemble 6 mounts and the resin parts include the mount bases and the twin guns which are paired off in each mount. The photoetch brass details for the quads include the gun carriages, gunners’ seats, mount shields, rear platform railings, target sight bars and handwheels of the simple variety. The quality of the resin casting and the photoetch brass fret are outstanding. 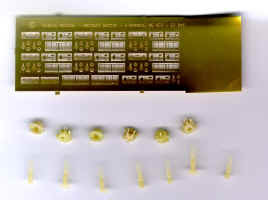 The resin is very clean and only requires the removal of bits of the runner from the twin gun barrels. The quad mount’s shields have bend lines scored into them to facilitate shaping. Extras are even provided for some of the parts in case you loose some to the evil Carpet Monster or you just mangle them outright. The extra parts include an extra resin twin mount in each set and extra handwheels, gunners’ seats, railings and sight bars (the latter two are extras only with the twin mount set). The extra parts can also be used for other projects if needed. The instructions provided with each set are very well done. 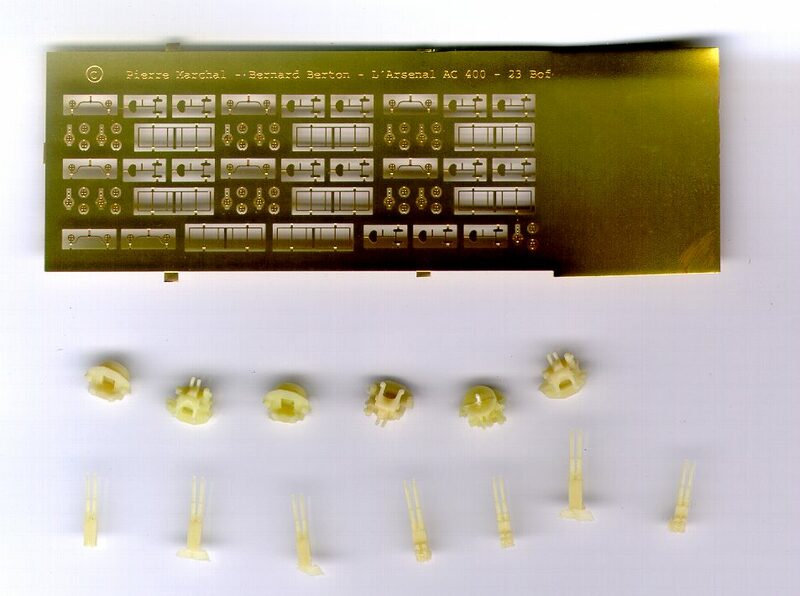 They include a breakdown of the photoetch and resin parts and clear, step-by-step blow-up diagrams showing how to assemble each mount. Super-detailers will love these mounts, as they will add a tremendous amount of accuracy and detail to your models. There are numerous applications for these sets, especially the 1/350 scale versions. For you 1/400 scale fans, these sets can be used on the Heller Richelieu kit as well as the Kangnam 1/400 scale Missouri kit. My thanks go out to Jacques Druel for providing these samples.